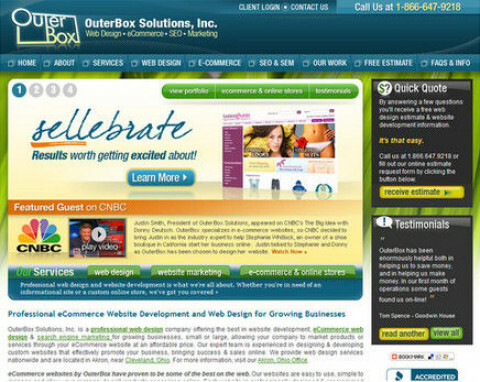 OuterBox, Inc. is dedicated to creating a unique company image for each of our clients. We know that all companies are different, and have different needs; we have the solution right for you! Whether you’re looking to build an all out custom e-commerce application or a basic informational site, OuterBox, Inc. is ready for your project! Visit our web site for a Free Detailed Quote!